The Nest Cam IQ is the latest product from Alphabet-owned smart home company Nest, an HD security camera with a 4K sensor it uses to do things like intelligently track faces and people at higher resolution. I’ve been testing the $299 Nest Cam IQ for a while now, and it’s an improvement over other smart home security cameras – but its IQ still leaves a lot to be desired. While most smart cameras offer limited “smart” features, they largely work as security cameras have since their invention – showing video of an area, and providing a video record in case something goes wrong. 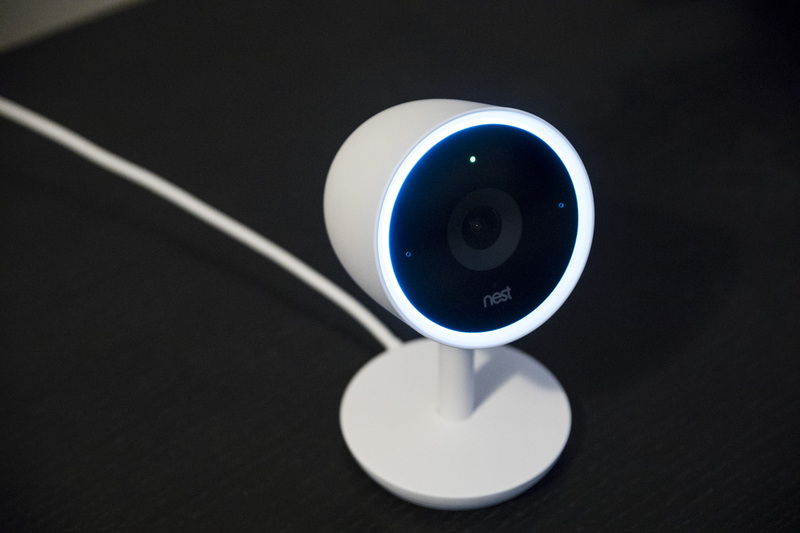 The Nest Cam IQ inherits some of the smart features of its predecessor, including the ability to spot people and set activity zones, but it also adds ‘familiar faces,’ letting it maintain an index of people you recognize so that their presence will be ignored or flagged differently from unfamiliar people within its field of view. Nest Cam IQ also has smart audio features, letting it recognize people talking, and it can identify doors to set activity zones for special areas (you can also manually set activity zones if you’d like it to watch a particular place). When it spots a person and you want to focus it, it can also ‘zoom and enhance’ effectively, taking advantage of that 4K video to upgrade a close-up area to higher res, which makes it easier to spot identifying attributes. I found that the Nest Cam IQ did indeed do a good job of recognizing people when they walked through, and consistently asked if I recognized the faces it found via push notification and email. The issue was that it also recognized a lot of other things as “people,” including my dog (it’s supposed to be able to distinguish pets from humans) and light reflections in both an interior door window, and a shiny brass candleholder on a coffee table. These resulted in notifications while I was away for the holiday weekend that were at first a little alarming, before I got in the habit of expecting them when the sun reached a certain height. Identifying reflections as motion or humans is not unusual for the smart camera category, but it is a bit disappointing in a product that bills itself as smarter than most. But in my experience it also overcorrected on the side of caution, meaning it had a lot of false positives, but never missed when an actual person walked into frame. It also required a lot of repeat training on familiar faces for people I’d tagged as familiar before, but this is again not unique – the faces features in Apple’s Photos behaves in a similar fashion. The Nest Cam IQ has some other terrific abilities, like a great microphone and speaker for intercom features, and integration with other smart products including Nest’s Learning Thermostat. The company also says that it’s designed to get more capable and more intelligent over time, and it has a processor within that can handle a lot more software wise than what it’s doing right now. A lot of the best features are available only when you subscribe to a Nest Aware paid plan, too, but that’s par for the course for smart home security devices. Overall, Nest Cam IQ shows potential, but is a bit lacking in the IQ department given its positioning. Still, if you want a smart home security camera that’s industry leading in many regards, this is the one to get. If you’re happy with some basic smarts and something that provides piece of mind without the higher price tag, however, take a look at Nest’s older indoor camera, which remains available for purchase for $100 less.